I don't know when I developed this fascination for rivers. For a few years now, I have had swimming in a natural river on my wish list. The problem of course, was dialysis. I could only go to places by rivers that had a good dialysis centre. That automatically ruled out a large number of places. The Godavari was one of them. I wanted badly to go to this river. I have no idea why. I remember checking with the tech that came to my house until a couple of years back - Jayaram Reddy about dialysis centres in Rajahmundry. He said there were centres but of very poor quality. So, when we opened a centre at Rajahmundry some time back, I was really excited. 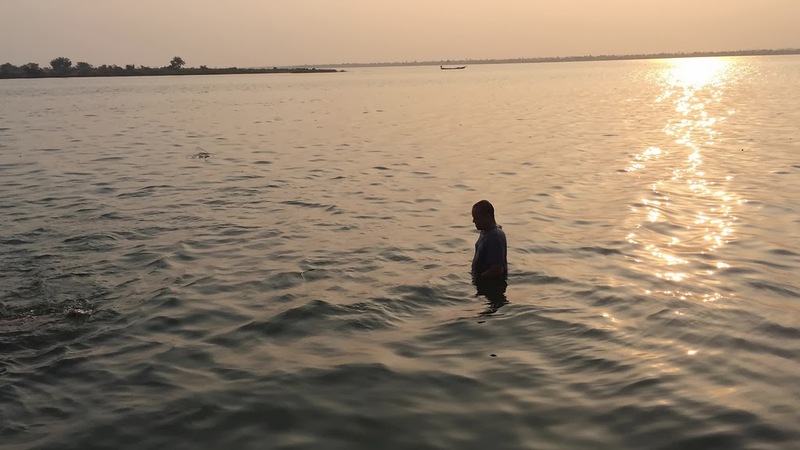 I would finally be able to take a dip in the Godavari. Things did not materialise until a few days back when Venkatraman, my colleague at NephroPlus and I finally booked tickets on the Goutami Express from Secunderabad to Rajahmundry. At dawn, we awoke and were sitting by the window when we were treated to our first glimpse of the river. The sheer size of the river left me overawed. It was like this huge mass of water flowing slowly on its journey towards the Bay of Bengal. The stretch at Rajahmundry is only a few kilometres from the sea. I head the Quality team at NephroPlus. So, I was completely sure of the quality at our dialysis centre in Rajahmundry. We monitor all the critical parameters on a continuous basis and there are rarely any surprises. My dialysis session passed off very well. When I talked to some of the patients who were there, they were all very happy that we were providing such high quality dialysis in their city. Some patients and their family came and met me and chatted with me during my session. Meeting patients who really benefit from the quality we offer is heartening. It makes all the effort we put in very worthwhile. When you see the gratitude in their eyes, you mentally decide that you would go to any lengths to keep a smile on their faces forever! Once we were done with our work, we checked with the team there on where we could go and swim in the river. At first they suggested a swimming pool. I told them that I wanted to swim in the river. They found this idea most amusing. Why would "Kamal sir" want to swim in the river? There was a scurry and muted discussions among them and they zeroed in on a particular spot which they felt would be good to actually take a dip. We got on to their bikes and made our way to the spot. There were a bunch of kids there having a whale of a time. I had not got my swimming trunks with me. I honestly never thought we would actually be able to swim in the river. But here I was, on the river banks, a series of temples and ashrams flanking me. I was in a T shirt and shorts. I decided to take the plunge. I slowly stepped into the river making sure the moss covered steps do not make me fall. The cool water was exhilarating! My wish of many years was finally fulfilled! We took a boat ride in the river on a speed boat and then decided we were hungry. 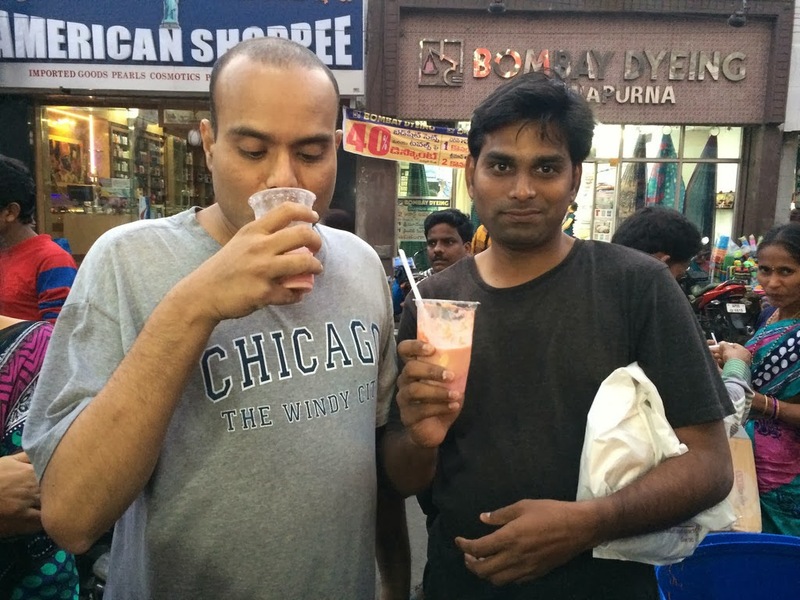 I asked our Rajahmundry team (Shiva, John and Prasad) where we could eat or drink something nice. The consensus was rose milk. 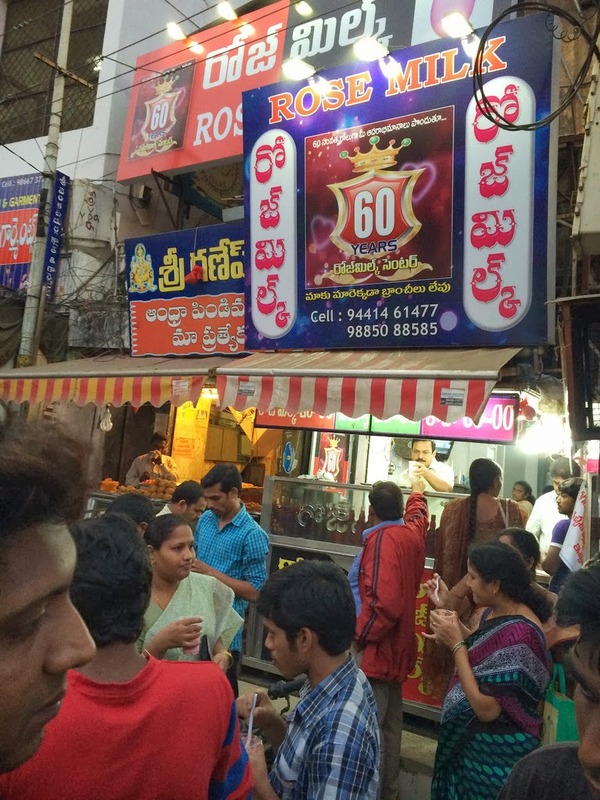 We heeded to the main market of Rajahmundry where there was a small little shop. The shop had no name. It was apparently called Rose Milk itself. Legend has it that the family that owned the place and ran it for the past 60 years had this secret recipe for the rose flavour that goes into the making of the rose milk. The rose milk was not the best thing I have ever had but it wasn't bad either. 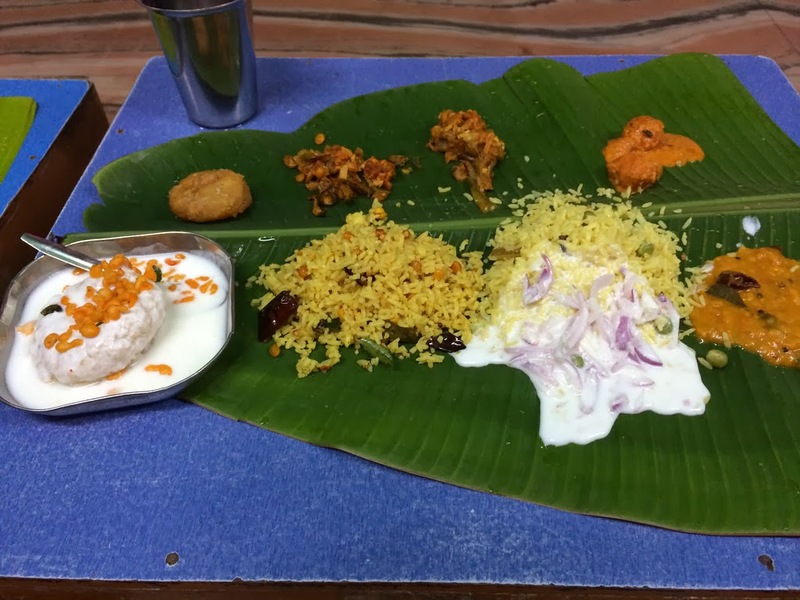 The next morning we headed for Kakinada. It was about an hour's drive. The team there was also very welcoming. I got done with my dialysis and other work that was scheduled. Towards late evening, we headed out towards the beach. 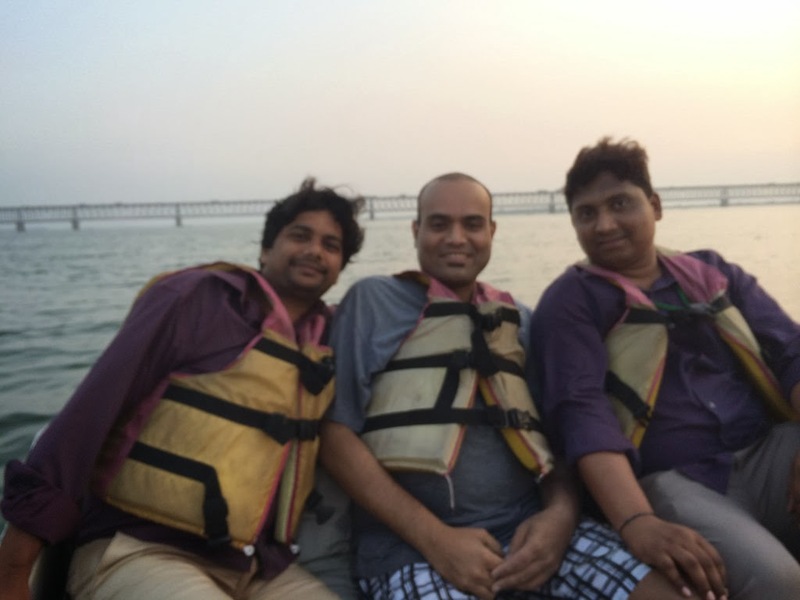 Kiran and Shekhar from the Kakinada team took us around. We wanted to hire a speed boat into the ocean but we were a little late for that. We ended up going to a park that had a lake within and took a small speed boat ride there. Kiran then took us to the Subbaiah Hotel. This place is steeped in tradition. There is a large hall with single tables and chairs. They serve you on a plantain leaf. The order of the food is fixed. They try to convince you to taste everything. They also force you to eat more in the traditional style! Everything is unlimited. The food was really very good. There are a large number of items, all very simple, very tasty. We topped off the heavy meal with a pan. When you visit places like these, you find that most people here are very down to earth, deriving joy from the simple things in life. A glass of rose milk, a dip in the river, a satisfying meal are all enough to keep them happy. In the city, while we need something much fancier to give us our kick, people in smaller towns seem much more contented with simpler things. As we got into the train on our way back to Hyderabad, I couldn't help marvel at our teams in Rajahmundry and Kakinada. They were genuinely committed and passionate about our cause. They treated the patients like family. Patients also loved them back. Despite not seeing the founding team or any of the management too often, these people went about their work with a zeal that is truly exemplary. This perhaps ties in with the inherent simplicity of the people in these parts. happy to know that you enjoyed such a refreshing trip. hope more such trips to rivers ahead. Hi kamal...when I just saw the last paragraph... I have the same feelings....as u as one of the founding members of nephroplus...sitting here in this vast and big set up I wish they had those qualities ..my best wishes to your teams @ Rajamundry and kakinada!! !